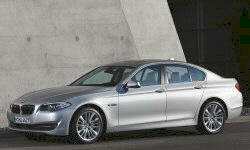 BMW 5-Series Warranty, Maintenance Cost Pros and Cons | Page 1 of 1 | Why Not This Car? What drives people to buy (or not buy) a certain car? TrueDelta's members share BMW 5-Series pros and cons based on their real-world driving experiences. Concerning any lingering reliability concerns: Jaguar hears them. Starting with the 2016s all Jaguars include a five-year / 60,000-mile warranty, a year and 10,000 miles more than competitors, plus five years and 60,000 miles of free maintenance. Only thing not included is gas for the firs 4 years or 50 thousand miles.... The local dealer does a great job of doing routine maintenance and always has another BMW as a loaner.